Welcome all to a not-so-special Easter edition of the Dead Pool where we will not be mentioning eggs nor the death some chap called Jesus, who just happened to start some kind of vicious religion that we’re all still reeling from over two thousand years later. Lets begin by awarding some points to Wombat, 82 of them to be precise! Well done for guessing that cancer riddled Johan Cruyff would bite the bullet in 2016. I was rather surprised that only one of us had him, but it is a cruel game after all. Rob Ford, 46, Canadian politician, Mayor of Toronto (2010–2014), liposarcoma. Rita Gam, 88, American actress (The Thief, Klute, No Exit) and filmmaker, respiratory failure. Johan Cruyff, 68, Dutch football player and manager (AFC Ajax, FC Barcelona, national team), lung cancer. Garry Shandling, 66, American comedian, actor and writer (The Larry Sanders Show, It’s Garry Shandling’s Show, Captain America: The Winter Soldier), heart attack. Hugh Jackman, the Australian actor, rescued his son and another man when they got caught in strong currents on Sydney’s Bondi Beach on Saturday. 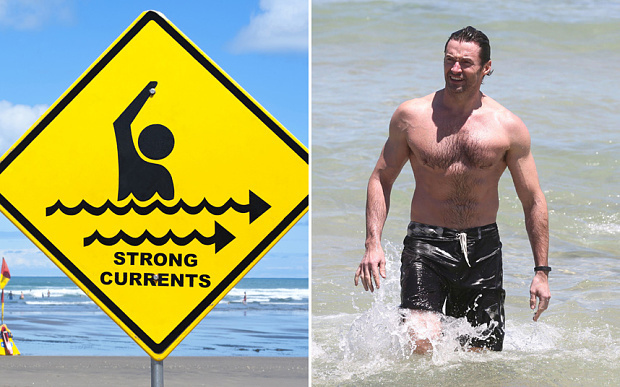 Without any thought of self-preservation, Jackman, who starred in the X-Men films as Wolverine, became a real-life hero when he pulled the pair to safety, then beckoned other swimmers to shore, away from a rip current flowing out to sea. Television footage broadcast by the Nine Network shows Jackman linking hands with a man and pulling him from a fast-flowing channel on to a sandbar, where the water is shallow. Lynzey Murphy told Sydney’s Sunday Telegraph newspaper that surf conditions changed quickly, but that Jackman stayed calm. “When we got in the water 20 minutes earlier it was fine. Then the water just came up suddenly,” she said. “Hugh just pulled them calmly on to the sandbar. He then said: ‘All right, we are going to walk towards the flags.’” A lifeguard told the paper that the beach was later closed because of dangerous surf. The British boxer Nick Blackwell is in an induced coma after suffering a bleed on the brain following a domestic title fight defeat on Saturday night. 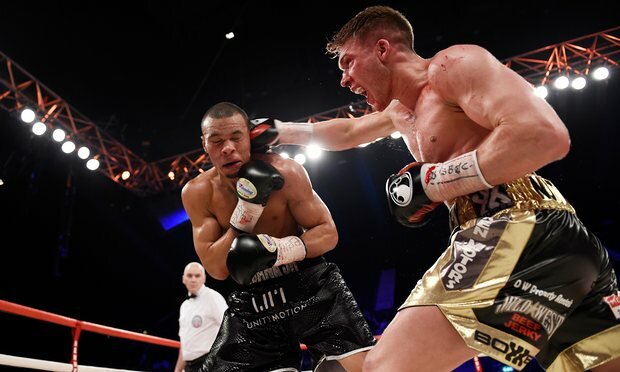 The referee stopped the largely one-sided fight against Chris Eubank Jr in the 10th round after Blackwell, who had taken heavy punishment in most rounds, was deemed unable to continue by a doctor, due to swelling over his left eye. Shortly after the bout, for Blackwell’s British middleweight title, which was televised live on Channel 5, the 25-year-old, from Trowbridge, Wiltshire, collapsed and had to be taken out of the ring on a stretcher with oxygen. After the fight, Eubank said: “I was hitting him with some big shots and the referee saw fit to let the fight go on. Looking back now, maybe he should have stopped it earlier.” Eubank’s father, Chris Eubank Sr, who was in his son’s corner for the bout, said the incident brought back painful memories of his world title fight with Michael Watson in 1991, which left his opponent with severe brain injuries. Watson nearly died as a result of injuries sustained in the fight and the incident forced the BBBC to boost safety at bouts to ensure that boxers who suffer such injuries get speedy assistance, including oxygen. Eubank Sr said he was banging on the canvas during the Blackwell fight urging the referee to stop it, but the referee didn’t understand him. 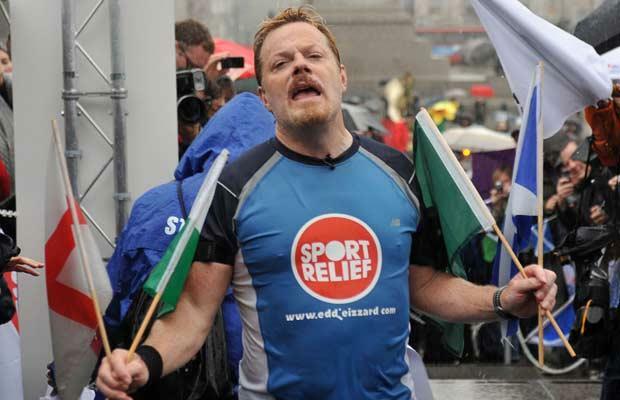 Eddie Izzard has completed 27 marathons in as many days for Sport Relief. But can his body recover from such a feat? The numbers are astonishing. In 27 days, Eddie Izzard ran or walked 707.4 miles (1,138 km) around South Africa, often in extreme heat, at the age of 54. On the last day, because of earlier disruption, he did a double marathon to ensure he reached his target. The comedian’s exertions for Sport Relief have raised more than £1.35m. But now, as the elation of completing his task recedes and he continues to deal with media interest in his achievement, Izzard must begin his recovery. “I can’t stand upright,” Izzard said, after he crossed the line in Pretoria, sipping from a bottle of champagne. “I have a huge blister and I’m exhausted.” Izzard has risked severe damage to the knee ligaments and there’s a strong likelihood of “massive muscle damage”, says Peter Jones, head of Staffordshire University’s school for psychology, sport and exercise. The immune system will be suppressed during the initial recovery, leading to a greater risk of infection. Izzard’s recovery should take about a month and involve plenty of low-impact, low-intensity training, such as swimming, plus stretching exercises. “What he’s done is a little bit extreme, I guess,” says Jones,” but he should be back to normal after a few weeks, so long as he hasn’t done any major damage to his body.” Many athletes report having “the blues” after completing a huge goal, such as a marathon or a triathlon. “It’s that Neil Armstrong thing, once you’ve been to the moon everything else is really dull, isn’t it? A fan at Adele’s Glasgow concert has been injured by a falling chain that possibly came from a lighting rig overhead. The singer was performing her sell-out tour at the SSE Hydro on Friday night when a chain that was part of the production came down. The injured spectator was taken to hospital and Adele, who was apparently unaware of the incident at the time, later tweeted her apologies and promised it would not happen again. A spokeswoman for the venue told the media: “A chain belonging to the production came down and hit one person who was taken to hospital as a precaution’. All we can think of at Dead Pool Towers, is where one badly fitted chain falls, many more are capable of doing so too. 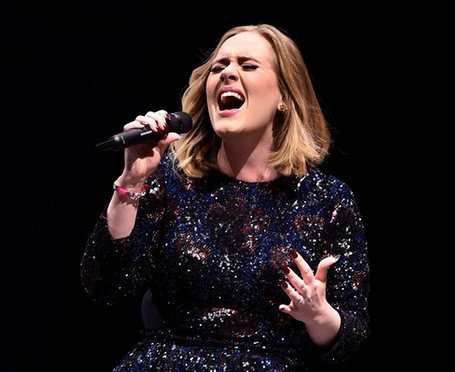 Adele is scheduled to perform a second show at the 13,000-capacity arena on Saturday, let’s see if she survives! In a surprise move sure to sadden Beliebers, Justin Bieber has cancelled all meet-and-greets with his fans on his current Purpose worldwide tour. The pop star made the announcement on his Instagram, explaining that the interactions leave him “feeling so drained and filled with so much of other people’s spiritual energy that I end up so drained and unhappy”. His company indicated that Bieber’s decision to cut back on fan face-time has less to do with keeping the musician’s spirits afloat, and more with maintaining his safety. According to TMZ, that show occurred on Monday night, when a “potentially dangerous fan” got within 10 feet of Bieber during a backstage meet-and-greet. The fan in question was allegedly on the “watch list” for Bieber’s security team. The site also reports that Bieber has had his hair pulled and clothes ripped following intimate paid encounters, and that he contracted the flu from one sickly fan. 1881 – Rioting takes place in Basingstoke in protest against the daily vociferous promotion of teetotalism by The Salvation Army. The Queen (90), William Hurt (66), Spike Lee (59), Theresa Russell (59), Holly Hunter (58), David Thewlis (53), Timothy Dalton (70), Gary Oldman (58), Rosie O’Donnell (71), William Shatner (85), Matthew Modine (57), Reese Witherspoon (40), Chaka Khan (63), Amanda Plummer (59), Damon Albarn (48), Perez Hilton (38), Kelly LeBrock (56), Jim Parsons (43), Alyson Hannigan (42), Jessica Chastain (39), Tommy Hilfiger (65), Aretha Franklin (74), Elton John (69), Sarah Jessica Parker (51), Melanie Blatt (41), Keira Knightley (31), Alan Arkin (82), James Caan (76), Steven Tyler (68), Martin Short (66) and Larry Page (43). Spoken to his assassins, three men who shot him 16 times. This entry was posted on 27th March 2016 by kingofankh. It was filed under 2016 .